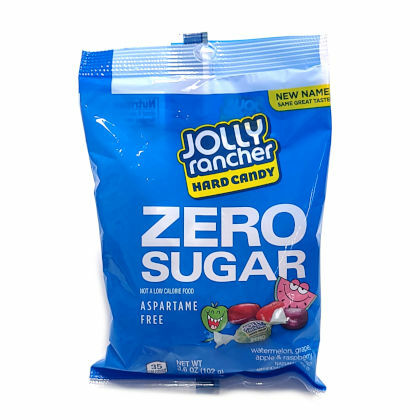 Jolly Rancher sugar free hard candy. Assorted mix bag includes watermelon, grape, apple and raspberry flavors. Approx. 24 pieces per bag. Individually wrapped. Net weight 3.6 oz.